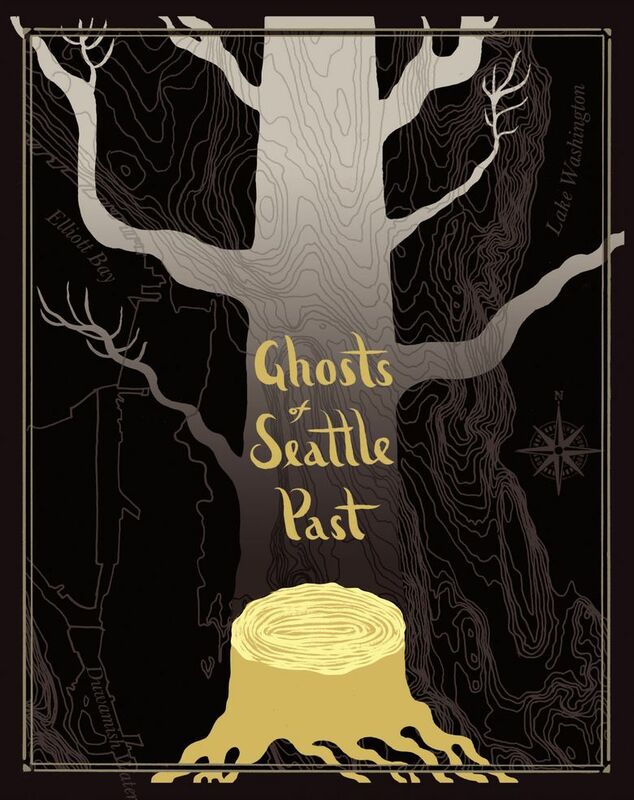 “Ghosts of Seattle Past: An Anthology of Lost Seattle Places,” a collection of essays, photos, poems and maps edited by Jaimee Garbacik, preserves memories of things and places such as the ferry Kalakala, Sunset Bowl, David Ishii’s bookstore. On rainy afternoons, the Last Exit on Brooklyn coffeehouse smelled like wet wool, cigarettes and cinnamon. 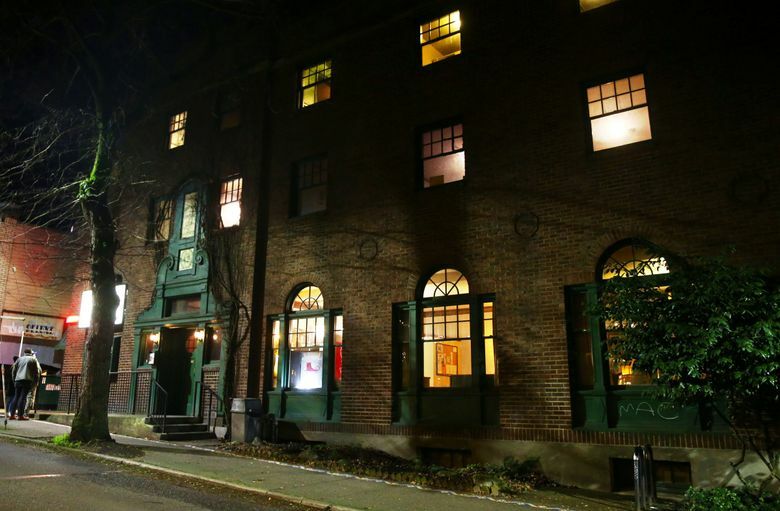 As an undergraduate at the University of Washington in the 1980s, I frequently sat at its narrow, marble-slab tables, drinking flowery herbal tea from thick, yellowed mugs. There was a menu — a single, battered sheet, usually patterned with grease marks — but I don’t remember ever ordering any food other than the apple pie, which came with cinnamon sauce and a creamy blob of soft-serve vanilla that quickly melted into an impossibly sweet puddle. My roommate and I would share it, scraping the plate with big garage-sale spoons, and watch the people around us; all of whom seemed, to our wide young eyes, like mysterious poets. 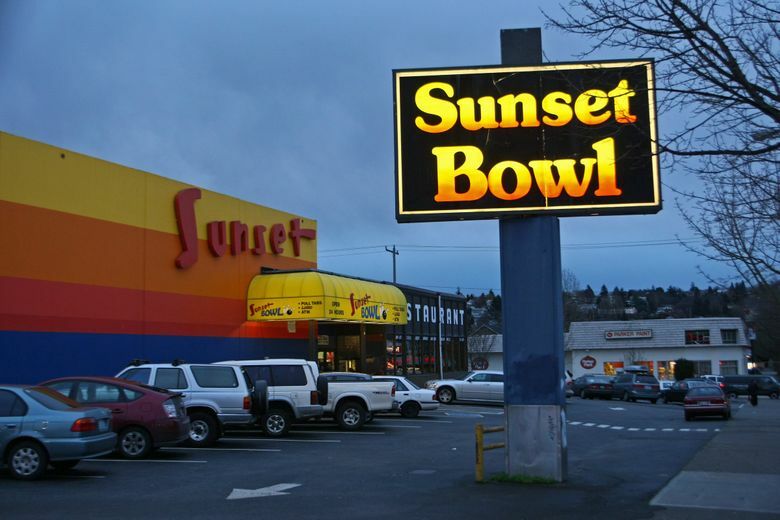 Like a lot of Seattle places in our memories, the Exit’s been gone for a long time. But it came back to me, like Technicolor, in an essay in the new book “Ghosts of Seattle Past: An Anthology of Lost Seattle Places” (from local publisher Chin Music Press, $19.95; available April 11 at Elliott Bay Book Co. and other bookstores). 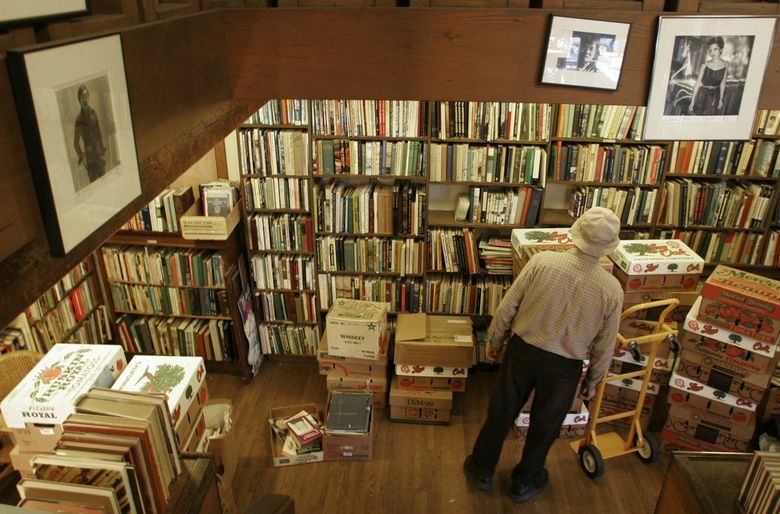 A “time capsule made of trees” (as the introduction states), curated and edited by Jaimee Garbacik, it’s an idea that stemmed from a common occurrence nowadays: the 2014 closing of a neighborhood video store. Editor/curator Jaimee Garbacik and other contributors to the anthology will appear at 7 p.m. April 11 at Elliott Bay Book Company, Seattle; (206-624-6600 or elliottbaybook.com). The book is an eclectic mixture of memories: essays, interview transcripts, poetry, graphics, photography, hand-drawn maps (by Powell). “It was important to me that we got as dynamic a cross-section of the city as possible, and be demographically diverse,” said Garbacik, saying that she reached out to community organizers and nonprofits, looking for stories from people who weren’t necessarily writers. “Ghosts of Seattle Past” does indeed feel like a populated city. 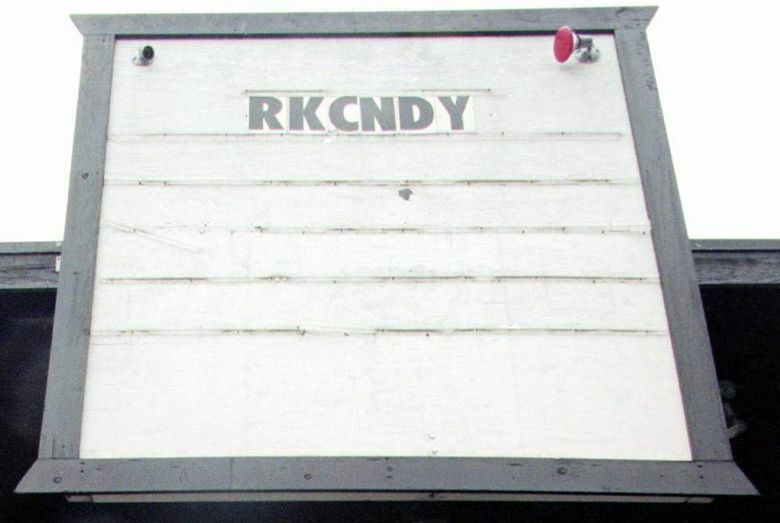 Alongside the love letters to lost places (the Harvard Exit, Chubby & Tubby, the Sunset Bowl, David Ishii’s bookstore, Cellophane Square, RKCNDY …) are more general reflections, reminding us of what Seattle once was. Ken Workman, great-great-great-great-grandson of Si’ahl, Chief Seattle, speaks of his work as an advocate of his Duwamish Tribe, and of growing up around West Seattle, near the place where his ancestor once stood. Dave Holden, who grew up in the Central District, shares memories of his father, Seattle jazz great Oscar Holden, who held court at the old Black and Tan club — and of a visit from Louis Armstrong. Alice Wheeler’s photographs depict a history of gay Seattle on Capitol Hill. Artist Roger Shimomura talks about the bars and the art studios — in condemned buildings — in the Chinatown International District in the 1960s; and remembers how his Seattle parents never talked about the Minidoka concentration camp where they were forcibly relocated during World War II. And you can hear the crackle of good fellowship in a transcript of a meeting of Claude’s Breakfast Club, a group founded in 2004 by Claude Barrow, a 1957 Garfield High graduate. The men — some two dozen of them, most of them elderly African Americans with memories of the Central Area — chime in with overlapping stories; the laughter and friendship, between the words, is tangible. Garbacik, along with an assortment of the book’s contributors, will speak at the launch party April 11 at Elliott Bay Book Company. Other events are planned later this month and beyond: walking tours, readings, public sharing of stories. All are free and appropriate for all ages; for more information, see seattleghosts.com.